Our hypodermic needles are made inner our factory with common size 16G~30G,because of different needle length,the color and price are different. 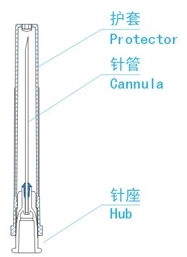 Both sterilized and non-sterilized type could be provided by individual package. The needle specification suit for international stardard rules,could be used in all of the world. --4. The product is finely lubricated to provide less pain piercing.